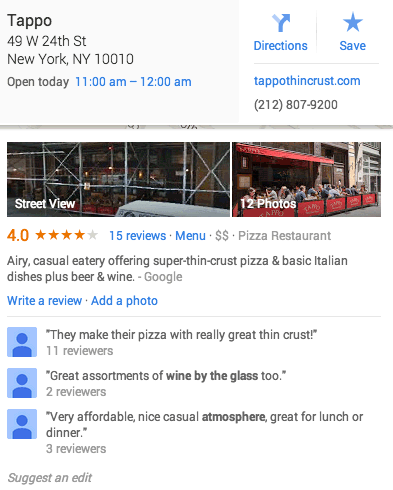 Google Maps has been generating summaries of your reviews for about six-month snow but now, with the new 3-pack after dropping the carousel, those short business descriptions based on reviews are more prominent. Here is a screen shot showing how when you click on a listing, it shows the auto-generated short business description. Google now in some cases actually writes their own editorial summary. This Google help doc explains how all the various snippets are generated. Editorial summaries are short descriptions compiled by experienced editorial writers designed to give Google users a quick snapshot of popular businesses. These summaries are phrases or sentences (such as the example on the map above: “Southwestern fare in a modern setting”), which you will often see when you click the business on Maps. Editorial summaries show on the map or alongside review and rating information, such as in the “review summary” section. 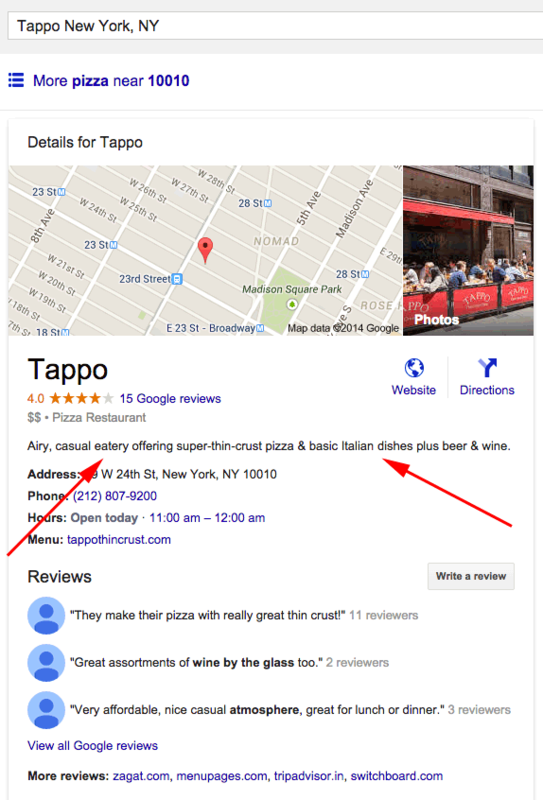 So your reviews are critical to your business and short description on Google.